Not a necklace for the faint of heart, this bold piece complements the bold personality. 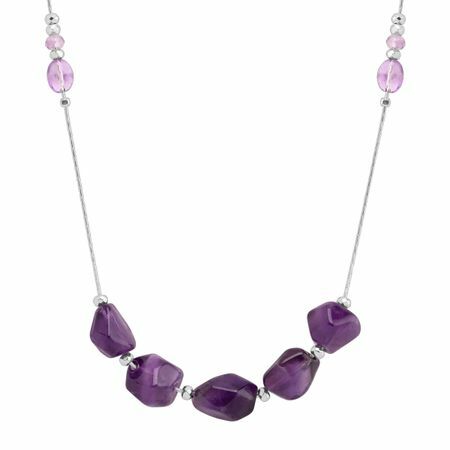 Deep purple amethysts are offset with lighter amethysts along the bright sterling silver chain, crafted with an organic feel. Necklace measures 18 inches long, plus a 2-inch extender for adjustable length, and features a lobster clasp. Piece comes with a “.925” sterling silver stamp as a symbol of guaranteed product quality.